Meals are served prepared with vegetables and fish from Niigata, Echigo,and Uonuma. changed every three months with the seasons. 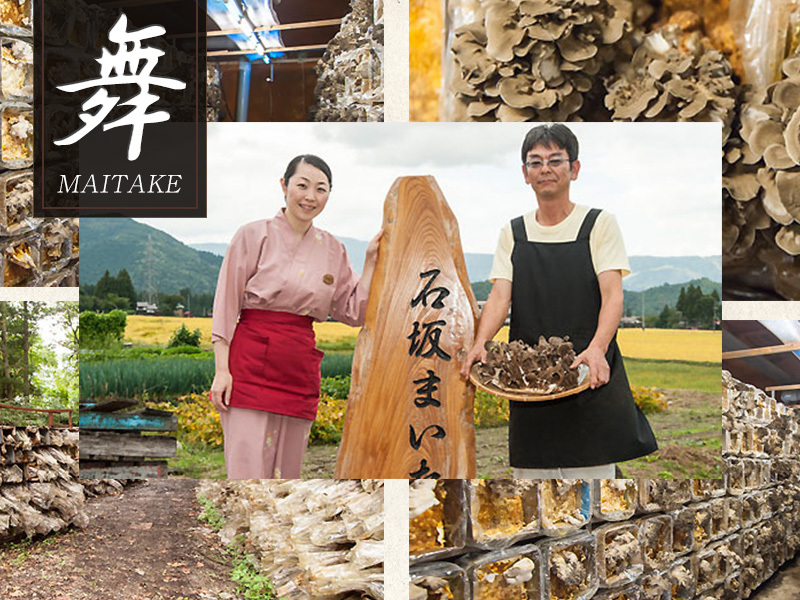 Cultivated maitake Mushroom(Hen-of-the-Woods Mashrooms) are raised to have the shape and taste of wild ones through repeated painstaking efforts using an unsurpassed and patented method of cultivation. Their special characteristics are solidness, the strength of their odor, and texture, and size, which are all exceedingly close to natural ones. They will appear on dinner tables according to the season. 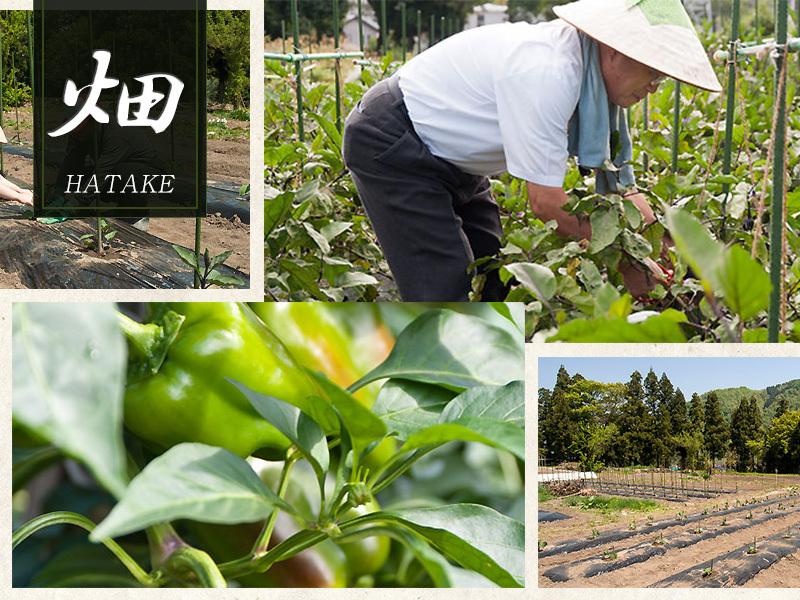 The Kagetsu-batake is a crop field administered by the staff, led by the owner of the farm (president). Eggplants, tomatoes, green peppers, cucumbers, sweet peppers, radishes, and other vegetables are grown according to the season. they come in a variety of sizes, and are very fresh and delicious. blending it with homemade miso using methods passed down from ancient times, then kneading it while heating and chilling it repeatedly for three days. 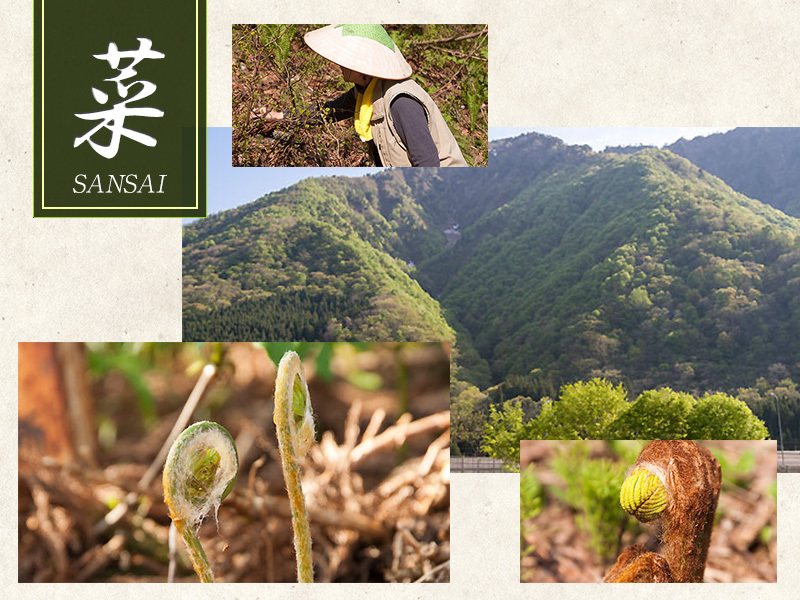 Yuzawa in spring is a treasure trove of food ingredients: butterbur scape, bracken, Asian royal fern, fatsia sprouts, and rare among them, leaf bud of Japanese pepper. 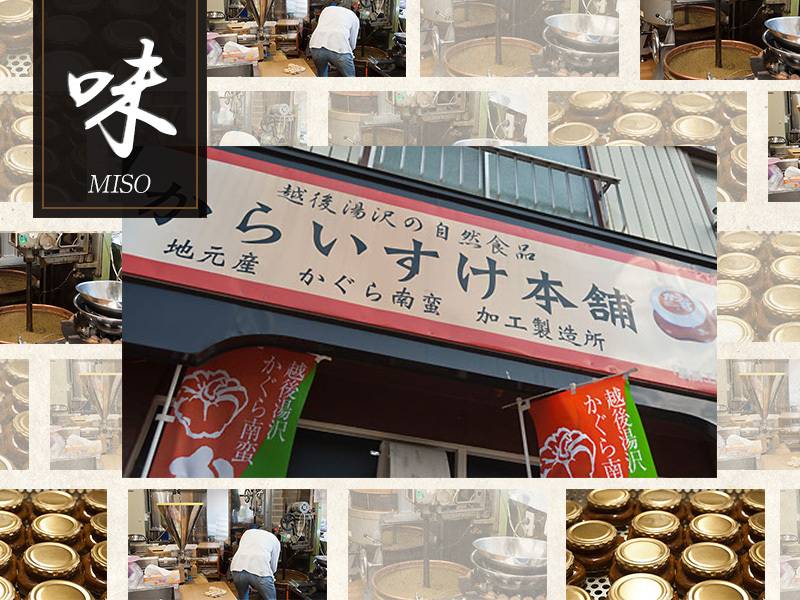 These ingredients can be eaten because the location is the Chuetsu region, Niigata Prefecture. Since crop yields are small, there is no guarantee you can eat them anytime you wish. The Miyuki Trout, which took many years for Niigata Prefecture to breed, is a thoroughbred fish raised by artificially cross-fertilizing rainbow trout and white-spotted char. Using only clean and clear water flowing down from Mt. Hakkai, they are raised over a long period of time in low water temperatures. 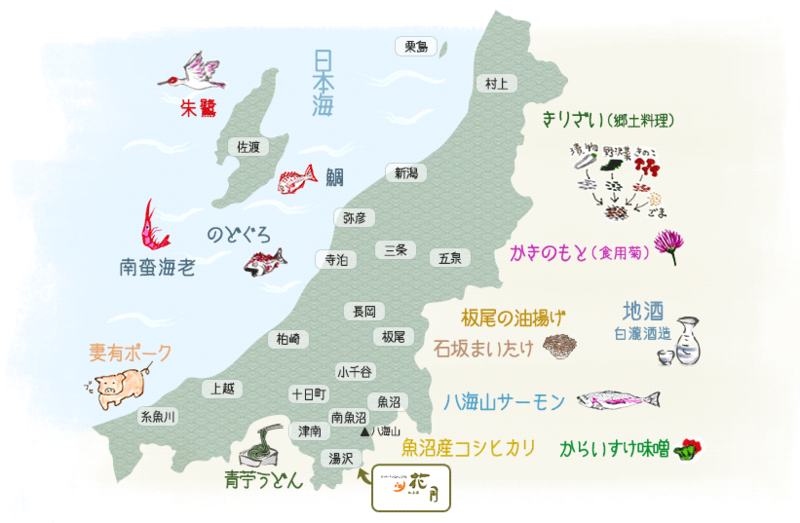 In addition to this, there are also Yamame trout, char, Hakkaisan salmon, and many other river delicacies. 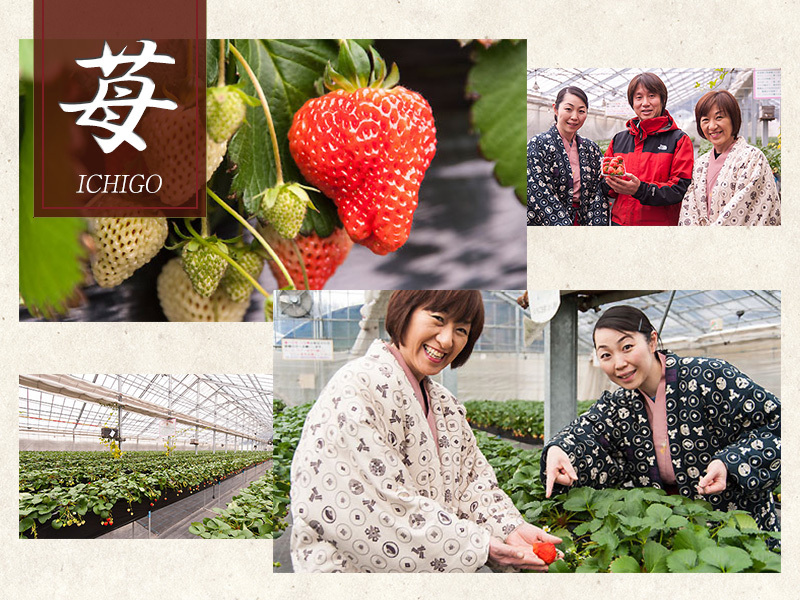 The sweet, juicy Echigohime Strawberry is the pride and joy of Niigata Prefecture. Using effective bacteria and minerals regularly, growers raise them into vibrant strawberries. They are cultivated using safe magnetic water with the same properties as natural water from melted snow and spring water. The large, sweet Echigohime Strawberries are served as dessert only when they are in season. You can also have fun picking them when they are in season. Uonuma Rice is raised using water from the abundant melted mountain snow, supplemented with major minerals and nutrients during the rice growing process. The rice is considered to be especially delicious. During harvest season in the autumn, we serve new rice while serving rice which has been stored in snow warehouses with our meals depending on the season. Storing rice in a snow warehouse is an example of a storage method for rice, vegetables, and other crops which has been used in Niigata’s snow country since long ago. It is said that the storage temperature and humidity are very conducive to storing rice, and storage in a snow warehouse also results in increased sugar content and improved flavor of the rice. Known as “Jozen Josui,” this is a saké brewery reflecting the history of Yuzawa. It endeavors to achieve quality saké brewing, incorporating a variety of technologies and techniques as it hones its brewing expertise. We strongly urge you to also try “Yukiguni-No-Saké” (Saké of the Snow Country) which is available only in Yuzawa. 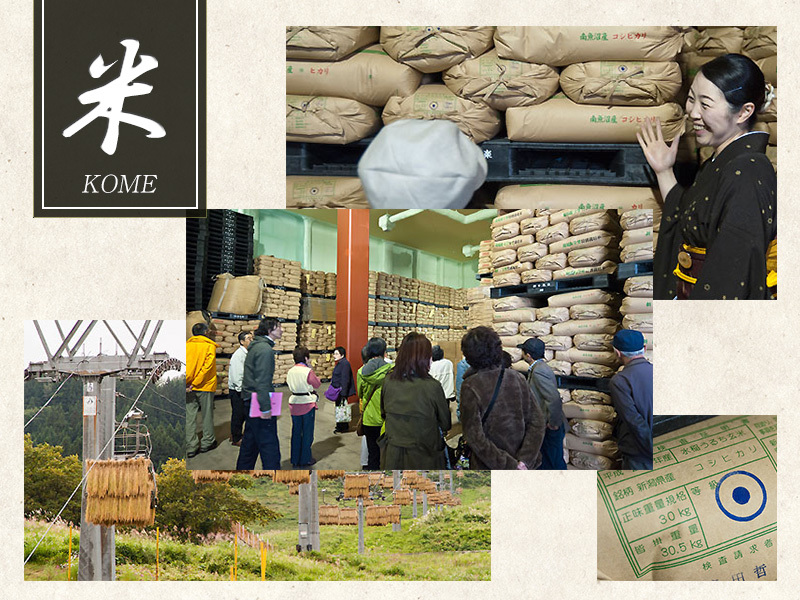 It is located in Yuzawa-cho, so please feel free to tour the brewery (approx. 8-min. walk from the inn.). Please be aware that tours of the brewery are not available on some days. Advance reservations are required, so please inquire with the brewery or Kagetsu. Traditional Japanese Course Meals with Creative Use of Seasonal Vegetables. These are delicious “Creative Traditional Course Meals” with little amounts of seasonal flavors incorporated here and there. Please try the seasonal cuisine which uses lavish amounts of local ingredients for each season. Japanese-style and Western-style rooms are available for group dining. Guests staying in a guest room with an open-air bath can enjoy in their room a traditional Japanese course meal specially selected by the Kagetsu chef. The menu changes every three months, so food items vary according to when you stay and other circumstances. 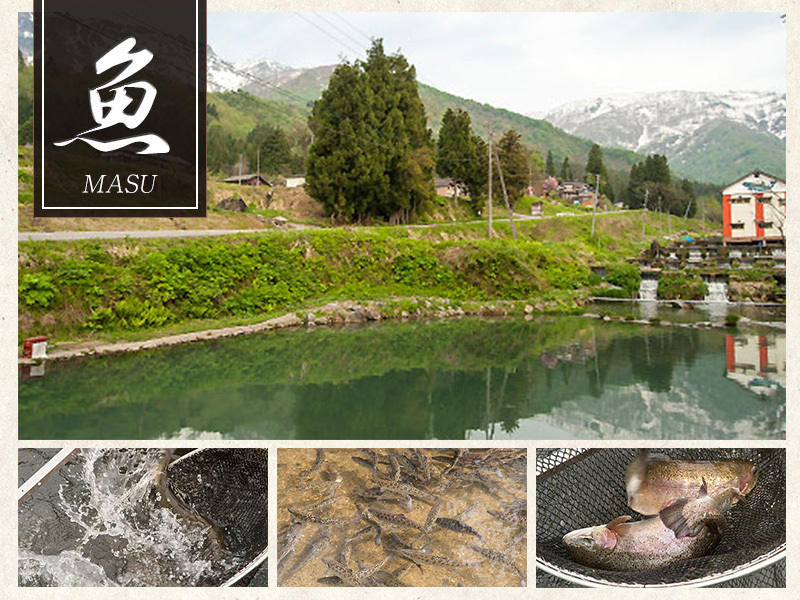 We serve Uonuma Koshihikari Rice, and also prepare fresh local ingredients for each of our dishes. ※Items change according to the season.